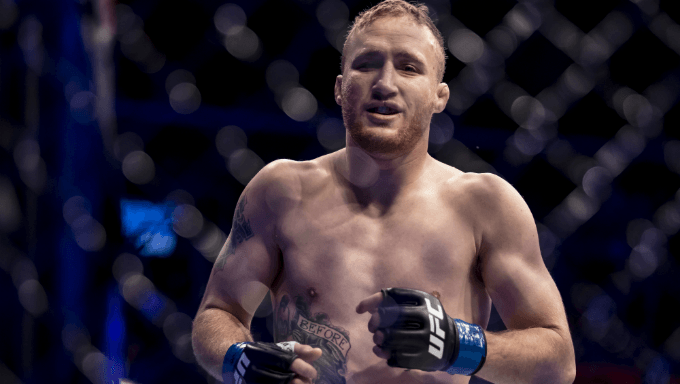 Bet on Justin Gaethje to win at -165 with MansionBet. Bet on Deiveson Figueiredo to win at -165 with MansionBet. Bet on Andre Fili to win at -105 with MansionBet. Bet on Bryan Barberena by KO, TKO or DQ Gaethje at -120 with MansionBet. MMA betting fans are counting down to this Saturday, August 25, and the highly anticipated UFC Fight Night 135 card in Lincoln, Nebraska. The card for this event is absolutely stacked, including a potential classic main event fight between Justin Gaethje and James Vick. Here is a closer look at the matchups heading in to UFC Fight Night: Gaethje vs. Vick. All of the odds are courtesy of MansionBet. Gaethje (18-2) has landed a ridiculous 8.67 strikes per minute with a 54.74 percent accuracy rate through his first three UFC fights. It’s no surprise that each of those three fights has been decided by knockout. The problem for Gaethje is that he lost his last two bouts to Eddie Alvarez and Dustin Poirer, which is something he will try to avoid when he steps in to the octagon versus Vick (13-1) in this UFC lightweight bout. Meanwhile, Vick has won four fights in a row with three of those victories decided via stoppage. There is no doubt he will be motivated to extend his win streak with a chance to make a statement with another victory. Considering what is in on the line for both fighters and the fact that Gaethje has been involved in two Fight of the Night contests already, it’s clear this clash has the potential for fireworks. It won’t be a surprise if the contest ended via stoppage with Vick pulling out the victory, and you can bet on the -165 favorite to do it at MansionBet. Johnson (17-3) is listed at -125 odds to win his fight versus Fili (18-5) in the final bout before the main event. He will be fighting with a sense of urgency as he attempts to avoid a fourth straight loss. Johnson moved down to the featherweight division following a couple of tough losses to Khabib Nurmagomedov and Gaethje, but the move didn’t pay immediate dividends as he lost via submission to Darren Elkins in his division debut. It won’t get much easier versus Fili, who has put together back-to-back wins over Artem Lobov and Dennis Bermudez. With eight knockout wins to his name, Fili has the potential to upset Johnson as an underdog. Bet on Fili to win at -105. Casey (7-6) replaces Alexa Grasso in this women’s strawweight bout with a chance to prove that she is the better match for Hill (8-4) anyway. However, that won’t be an easy task after she dropped her previous two fights via split decision to Felice Herrig and Michelle Waterson. Hill is the better striker and a former world kickboxing champion that is coming off a dominant win over Maryna Moroz in her last victory. Bet on Hill to take care of business as a -145 favorite. This will be the most lopsided bout of the night on paper as Barberena (13-5) is the second-biggest favorite on the board at -595. However, this fight could offer substantial intrigue if Ellenberger can surprise in his native Nebraska. Ellenberger, who is listed at +355 odds to win, hasn’t actually won a fight since 2016. Since then, he has suffered three straight losses with all three via knockout or TKO. Over that time, Ellenberger has developed a reputation for having a glass chin, which is something that Barberena will undoubtedly attempt to take advantage of in this welterweight matchup. Barberena already has nine knockout wins to his name so it won’t be a major surprise if he ends this contest versus Ellenberger early. You can bet on that happening at -120. Figueiredo (14-0) will look to defend his perfect record when he goes for his 15th straight MMA win. He is in for a tough challenge against Moraga (18-6). Figueiredo has two knockout wins in three UFC fights so far, including a second-round knockout win over Joseph Morales last February. He will be the betting favorite at -165 odds to win. However, Moraga is the sixth-ranked fighter in the flyweight division and he is coming off an impressive win of his own over Wilson Reis. Both fighters are capable of making plenty of contact. This matchup could be a sleeper pick for Fight of the Night, with Figueiredo holding the slight edge on paper going in to it. Bet on Figueiredo to win at MansionBet. The first fight on the main card is also likely to be the most lopsided with Anders (10-1) a -1375 favorite to beat Williams (15-4). He’s the biggest chalk on the entire card. Anders had won 10 fights in a row before suffering a split decision loss to former champion Lyota Machida in his last bout. However, his heavy hands and powerful punch should give him a significant edge in this middleweight bout. It might make sense to put some money on Anders to win this contest via stoppage as he should have no problem ending this bout before the final bell. That might cut into the juice a little bit because otherwise, you’re paying a heavy price. Bet on Anders to win by KO, TKO or DQ at -335 at MansionBet.